Comments: The Douglas fir, traditionally being one of the most important timber trees of the country is associated with landscapes at high elevations. The flat grayish-green needles are somewhat soft and are arranged around the twigs in a bottle bursh pattern. It needs a deep, well drained soil and can tolerate some drought once it is well established. Provide full sunlight for best performance although trees will grow in partial shade. 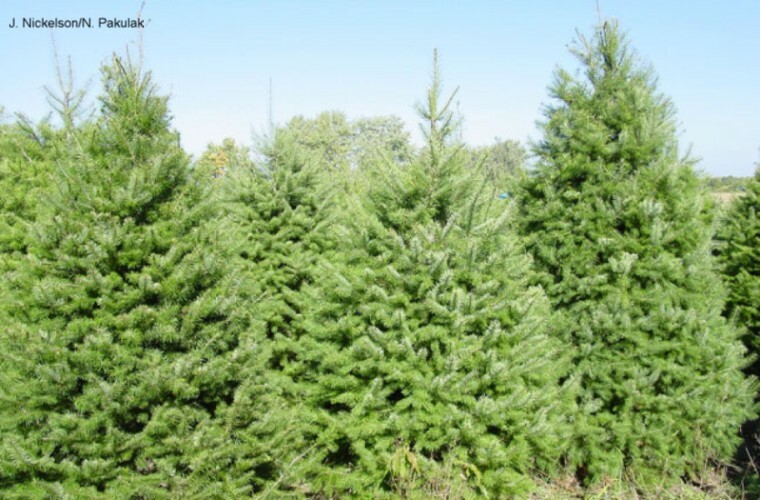 Young trees have a strong pyramidal form but lose some of this form as old specimens.